Today was a beautiful day here in Troense. No rain, and there was more sun than clouds. The wind for the two races held today was 12-14 knots still from the west. The Star World courses are 10.4 miles long by the class rules so 2 of those plus a 4 mile sail out and 4 miles sail back, made for a long day. Danny and I managed to keep the boat in one piece today and fairly happy with finishing both races in the mid 20’s. In the first race of the day, race 3 of the regatta, Augie Diaz USA & Bruno Prada, 2016 World Champs, took first place. 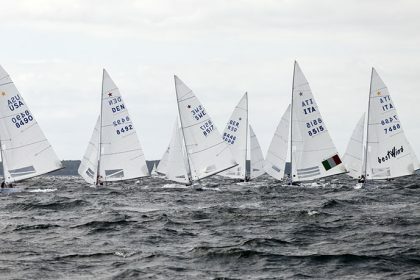 Eivind Melloby NOR and Josh Revkin finished second and Lars Grael BRA with Samuel Goncavles brought home a third place. This gave Melloby/Revkin the lead at the half way point in the regatta. They were awarded the Bud Vandeveere trophy for the leading skipper at the half way point and the Robert S. “Buck” Halperin trophy for the crew. 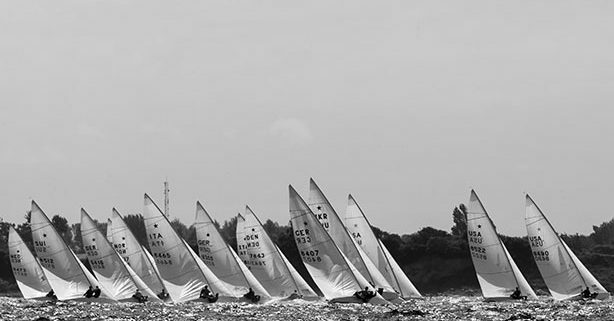 There is a perpetual trophy named after various illustrious sailors from the 110 years of the class, for the winner of each of the 6 races plus the mid week, the overall skipper and crew, the second place skipper and crew, and the Harry Nye Trophy for a life long contribution to the class. The Nye trophy was awarded to Sune Carlssson SWE this afternoon. Sune, who has been in attendance here in Troense all week, had a heart attack at the harbor, during the day and was hospitalized. He is stable but awaits a surgery. Our thoughts are with him! In the second race of the day, race 4 of the series, Peter Vasella USA and Phil Trinter got to the first mark first but were overtaken on the run by Melloby and Revkin who are on fire, especially downwind. They maintained their position to win the race and extend their lead in the championship. Lars Greal BRA is now in second place with 15 points, 5 points behind Melody while Gerhard Schmidt GER and Paul Sradnick hold third place with 21. There are still 2 races to go and light air is on the forecast which can produce much more variation in results as more teams will go the same speed compared to the windy conditions we have had thus far. With all 4 finishes in the top 4, if Melloby/Revkin finish in the top 5 and beat Grael/Goncalves, they most likely wont have to sail the last race to win the Championship. 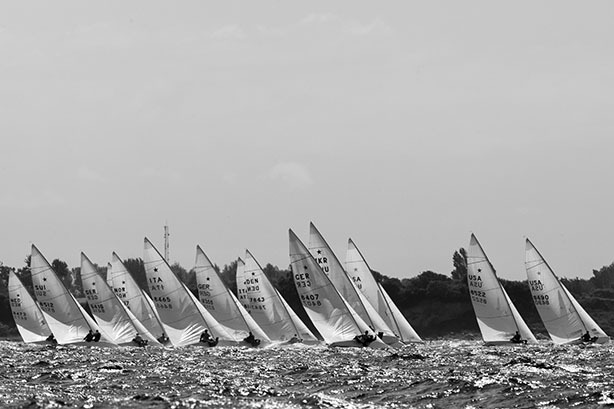 The race committee postponed tomorrows start until 13:00 as the forecast is for very light winds tomorrow.